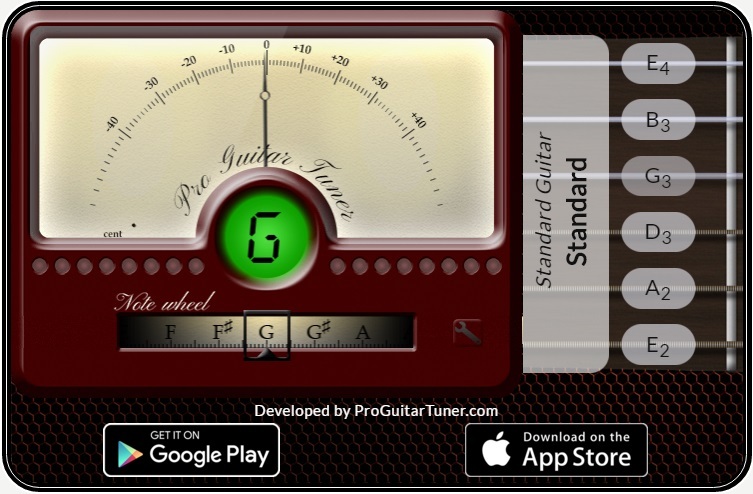 Punch "online guitar tuner" into your favourite search engine and you'll not be short of links. It seems every man and his dog has created one. But there are three tuners that stand above the crowd in terms of the accuracy and sensitivity of the chromatic mic/line-in response and the number of preset tunings offered (e.g. standard, drop, open, alternate etc.) 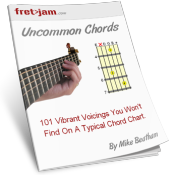 - a great way to discover new tunings. Tune by ear by choosing from a huge range of preset tunings, including general, raised, lowered, dropped, open and modal. 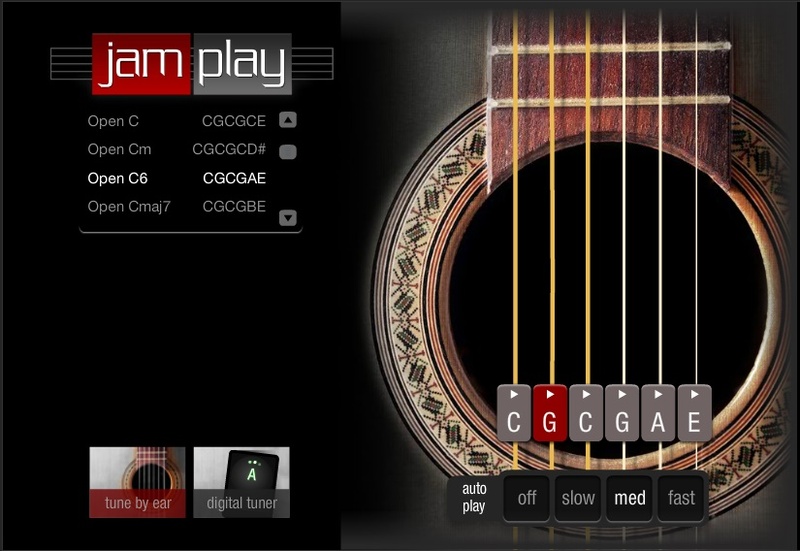 You can also select tunings for 5, 7 and 8 string guitar, and other stringed instruments. Alternatively, use your external mic (note: internal mics on laptops don't tend to pick up very well) or line input for the chromatic tuner. I also use the app which has all the same features as the online version. 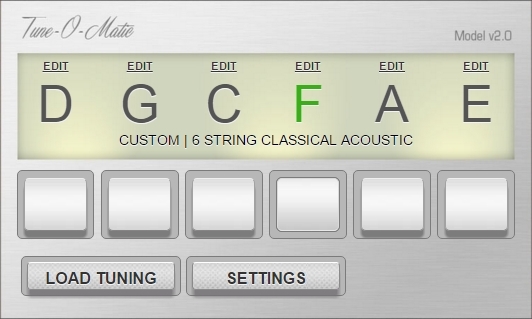 Offers a good range of tuning presets for ear tuning, including some more obscure ones such as Hendrix, Wahine and Lute. A nice feature is the ability to set the rate at which each string is plucked. There's also a mic/line-in tuner, although it doesn't allow you to select presets like the Pro Guitar Tuner. In other words, it will only measure each pitch in relation to the notes of standard tuning (EADGBe). Note: Learn more about Jamplay's excellent lessons here. Worthy of mention. Although it has no mic/line-in feature, it does offer some useful features for ear tuning, such as auto advance, note repeat, instrument voicing and the ability to manually input your own tuning notes for each string. There are also a good range of preset tunings you can load, although not as many as the other tuners. Being able to match the pitch of your string to one you hear is a skill that all musicians should work on developing. Not only for convenience when tuning, but the skill also helps to make your ear more sensitive to pitch recognition in general. Always tune UP to the desired pitch. So down tune the string first before raising it slowly in line with the desired pitch. This will maximise the tuning stability on your guitar because of how string tension is held more efficiently when it is tightened as opposed to loosened. As the pitch of your guitar's string gets closer to the tuner's pitch, you'll hear a kind of oscillating effect between the two pitches. Listen closely, it's quite subtle. Tune up as slowly as your fingers and the peg will allow, until that oscillation becomes flat. When the oscillation is no longer audible, you're in tune. If you're playing an electric, don't forget to check your intonation regularly, especially when you've put on some new strings. The most basic way to check this is to fret the string at the 12th fret and check its desired pitch on the tuner. If the open string is in tune, but the 12th fret sounds flat or sharp, you'll need to adjust the intonation at the bridge saddle. If it sounds flat at the 12th: Move the saddle towards the neck/pickups slightly to shorten the vibrating length of the string. Retune the open string and check it against the 12th again. Repeat if necessary. If it sounds sharp at the 12th: Move the saddle away from the neck/pickups slightly to increase the length. Follow the same procedure to re-tune. Just remember - 12th flat = shorten/towards neck, 12th sharp = lengthen/away from neck.